Razer is known to make really flashy and attractive gaming devices that boast of cutting edge specs. 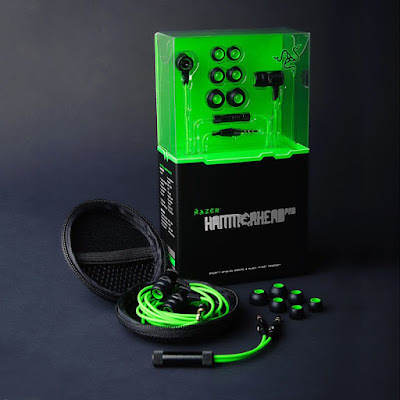 And what Razer has done with its rather successful line of “Hammerhead” in-ear gaming headphones is make it wireless. Both the Razer Hammerhead versions that have preceded the Hammerhead BT has had some excellent feedback and been quite popular among gamers who preferred earphones. To begin with, Razer never gets the boxing of its products wrong. The Razer Hammerhead BT comes in a black box that screams premium all over. The headphones are designed to appeal to a gamers taste. It comes in Razer’s trademark matte black and acid green colors. The ear-pieces are made from the same grade aluminium that is used in the premium smartphones and you can tell just by looking at it that it has a very solid build. There are texture rings around the ear-pieces that make handling them easier. But now we come to what really matters, the performance of the headphones when playing games. I used the headphones when playing Counter Strike Global Offensive and Playerunknown’s Battlegrounds and the results were pretty satisfactory. The accuracy of sound location is high and so is the distance scaling on them. The best feature of the Hammerhead BT has to be the battery backup, which lasted more than 7 hours while gaming at a stretch. This has to be one of the best wireless Bluetooth headphones at its price of Rs 9,699. In this price range there are other headphones that focus on the music, but none of those have the combination of this excellent build quality and decent music reproduction. There are better sounding headphones at this price point from Sony and Sennheiser but they don’t have the build quality to rival. But in terms of wireless gaming headphones, this is a great buy. Those that prefer earbuds and not the bulky over the head designs this is a great option. This offers the quirks of a earbud without any of the over the head weight, sweaty ears and none of the hassle of connected wires. And there are no wireless earbud gaming headphones to compete with it in India as well.